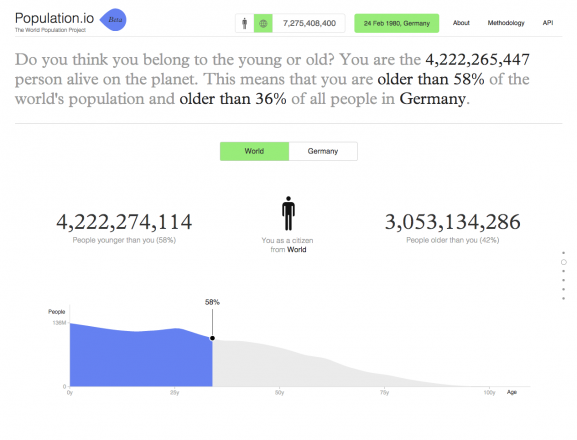 Population.io has been developed by Wolfgang Fengler, together with K.C. Samir and Benedikt Groß. 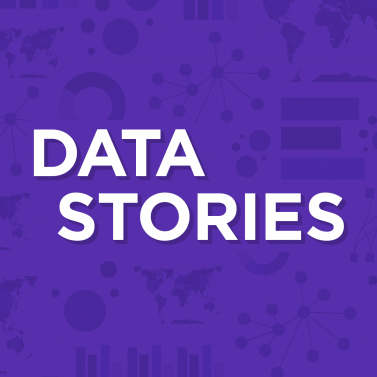 The core team also includes The Development Data Group of the World Bank and 47 Nord. The project is supported by the World Bank, the International Institute for Applied Systems Analysis (IIASA), and generous volunteer contributions by Tamás Krisztin, Joey Lee and others. The team also appreciates the partnership with the United Nations Population Division, which is providing the estimates and projections, on which our model is based on. Determine your relative age. 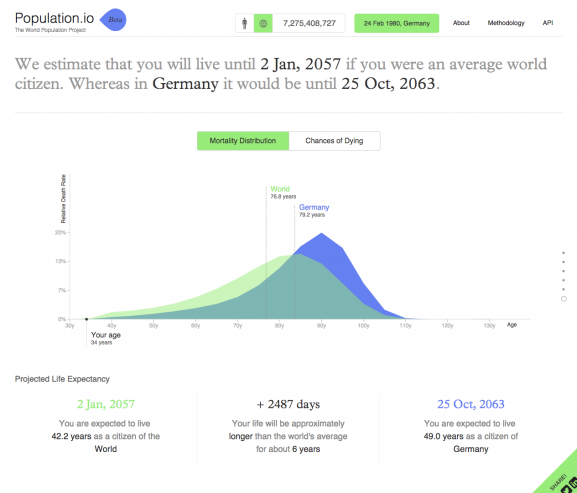 Your relative age is your age in comparison to everyone else in the world, or everyone else in your home country. Who is younger and older than me? Journey of your life in numbers and dates. 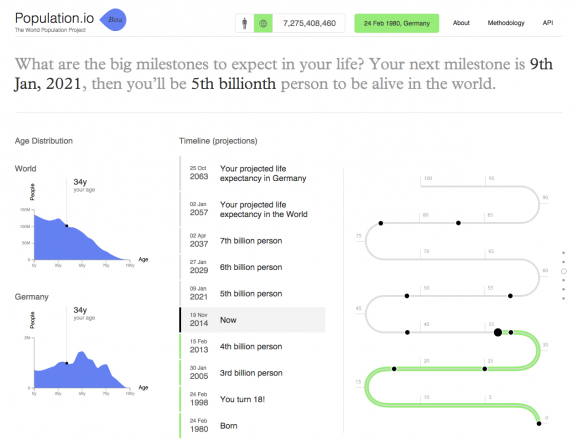 When will you be the Xth Billion person on the planet and how will the population distribution look at that moment in time? 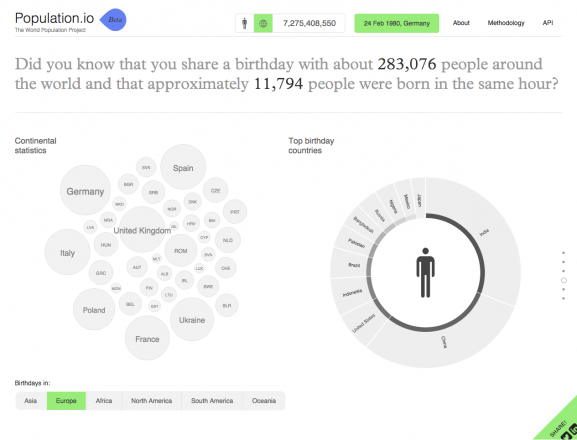 With how many people do you share a birthday with? 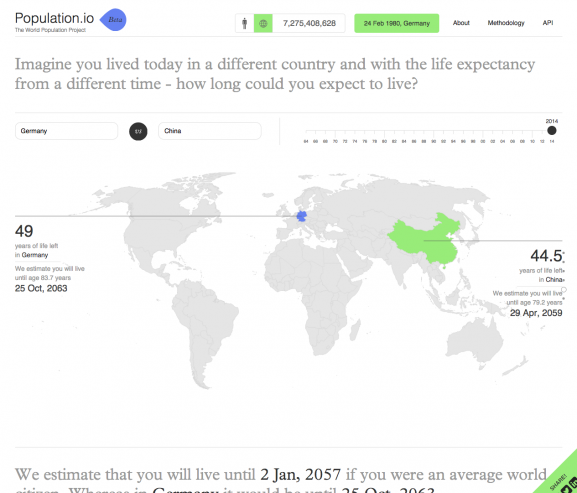 Compare the life expectancy from a different country and a different time. How long could you expect to live? Mortality Distribution. How long will I live? 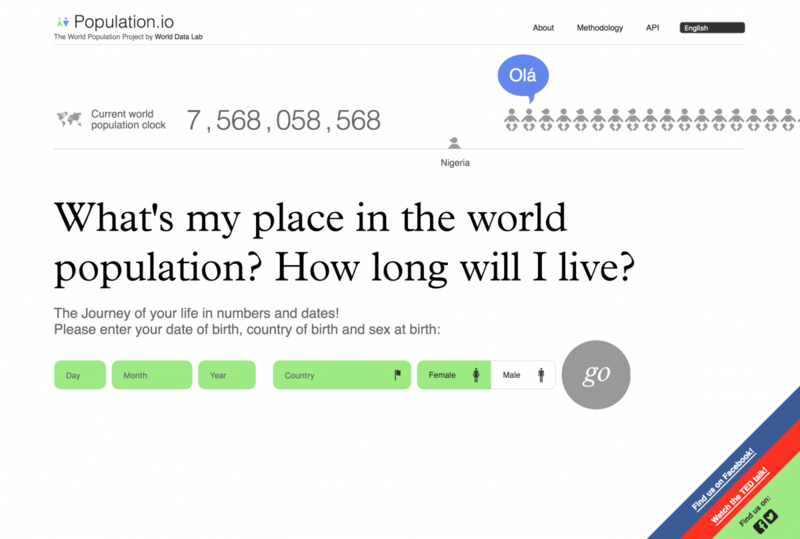 Blog post Journey of your life - Demography for the demos by Samir K.C., IIASA World Population Program. 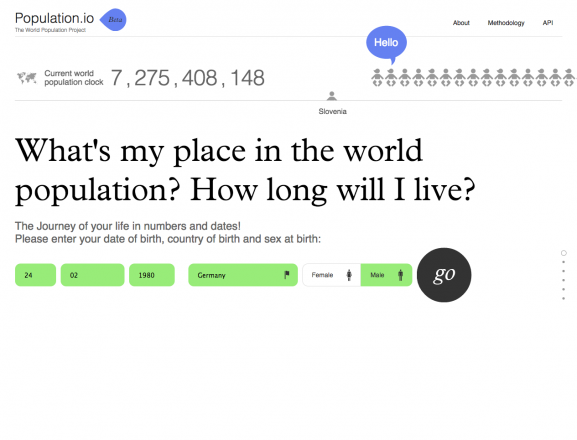 More background informations and how the calculations behind population.io work.